that our last challenge of 2013 is still open. It's a double challenge: 2 themes, 2 sponsors, 2 hostesses. haven't seen yet this holiday season. all wrapped up in the cold! some new crafty goodies from Santa and made a project with them? This double challenge will be open until December 31. GO HERE to enter your projects! Anything Goes with a color twist: White on White! We received 13 outstanding entries! This was really a challenge judged by the low entries. You are all winners, but we had to pick a few. Making the final decision is never an easy task! 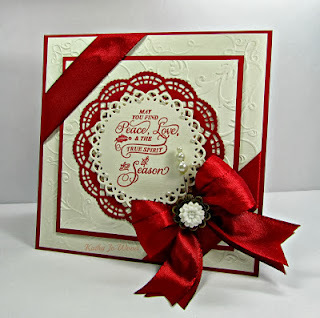 The simplicity of the card is so striking! 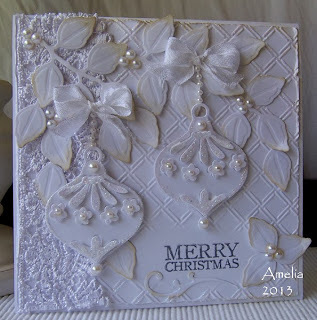 Your clever use of pearls enhances the beautiful embossing. The placement of your trees perfectly balanced by your lovely sentiment. 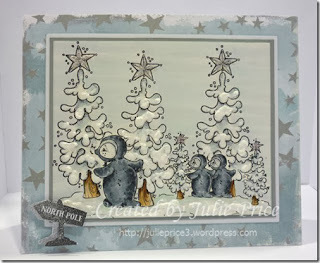 Winter, white and snowmen so well combined in your sweet card! The touch of green is perfect, the rhinestones so glamorous! There are a few runner-ups this week! Thanks for joining us with your fabulous creations!! #6 K8 - So beautiful! I hope you get a White Christmas! 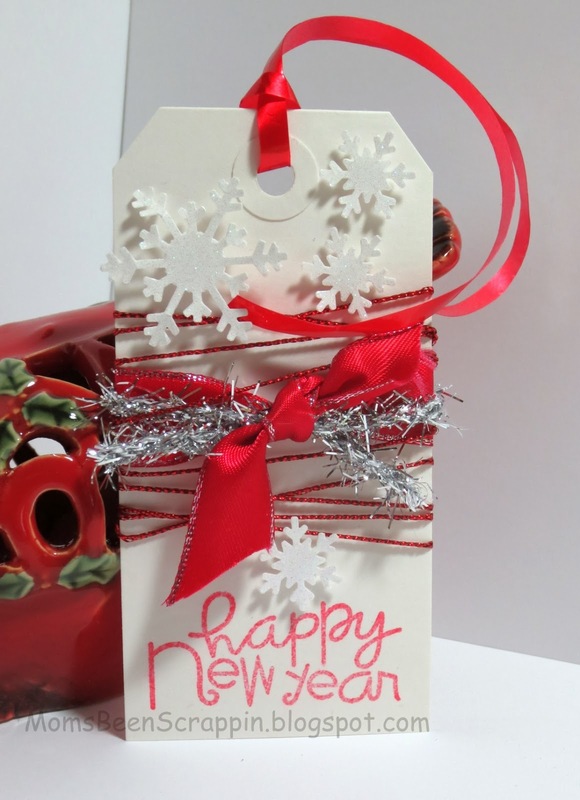 #3 Gail Scott - we loved your cute little snowman tag! 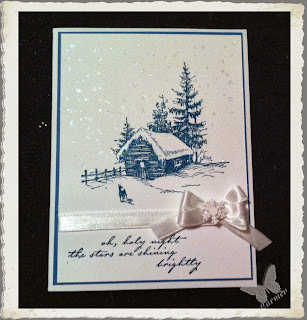 #4 Lizzie - simple, elegant, great white-on-white card! 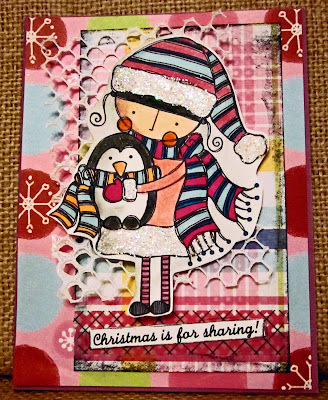 #12 Calypso - What a delightful card with such a cute penguin angel! Take some time to visit the blogs of everyone in the spotlight and the others! 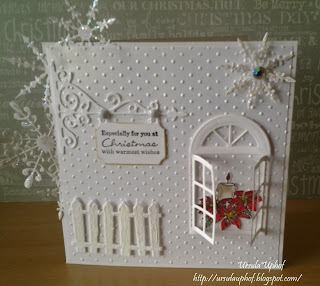 You will be inspired and get some excellent ideas still in time for Christmas! There are 2 challenges and 2 chances to win. It runs over 2 weeks! And you never know, the Spotlight might be on you next time! PS. Spotlight is taking a short break and will be back in the new year. who joined us this week! Weren't their projects beautiful? Thanks again to our sponsor Sassy Studio Designs! Todays winner gets their choice of 4 digi stamps from the SSD store. instructions to claim your prize. Thanks to everyone who shared their beautiful white on white projects! Double Big and Double Long! Rene and Cindy here to challenge you! We are doing a double challenge - 2 themes, 2 weeks to enter, 2 hostesses. 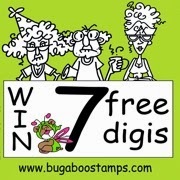 Bugaboo is sponsoring our challenge and the winner will receive 7 fun images! One week to go before Christmas is here! There are always little last minute things to do, gifts to wrap. It's also a time of finishing off the year, of wrapping up, ready for the next step. That is what we want to see: your interpretation of 'wrap-it-up'. 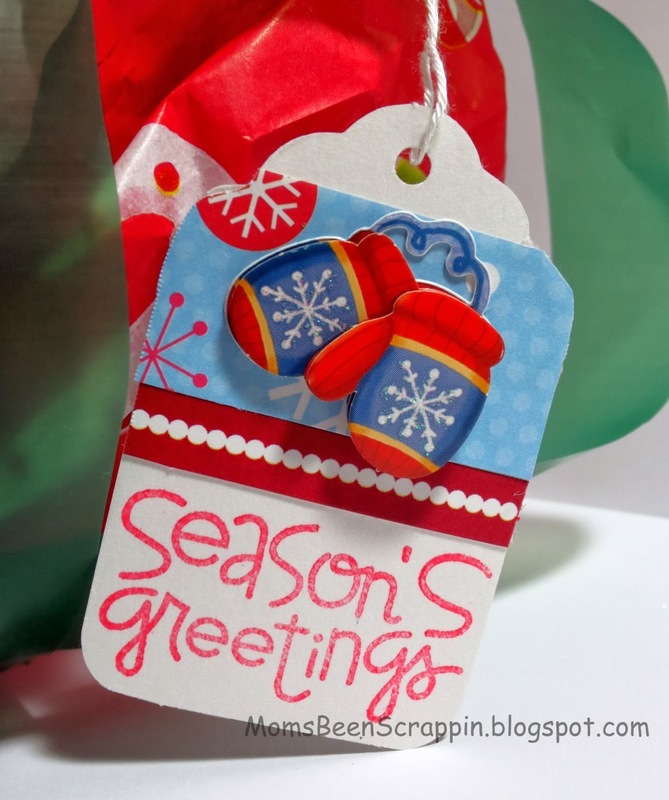 It can be your gifts all beautifully wrapped, a gift tag, a lovely layout that you wanted to finish before Christmas. Remember to mention that you are joining this challenge for a chance to win the price/get in the spotlight. 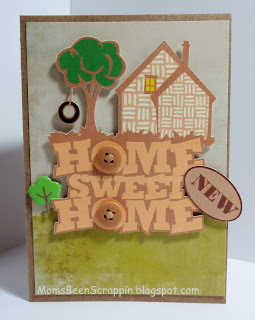 a new baby, a new house, a new job or even a new stamp set! to have two fantastic Guest Designers join us for our Double Challenge. 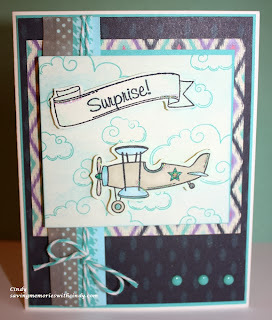 Guest Designer in this lovely blog today! 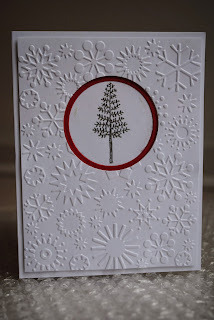 I've been a card maker for many years and love stamping - my style is mostly clean and simple. 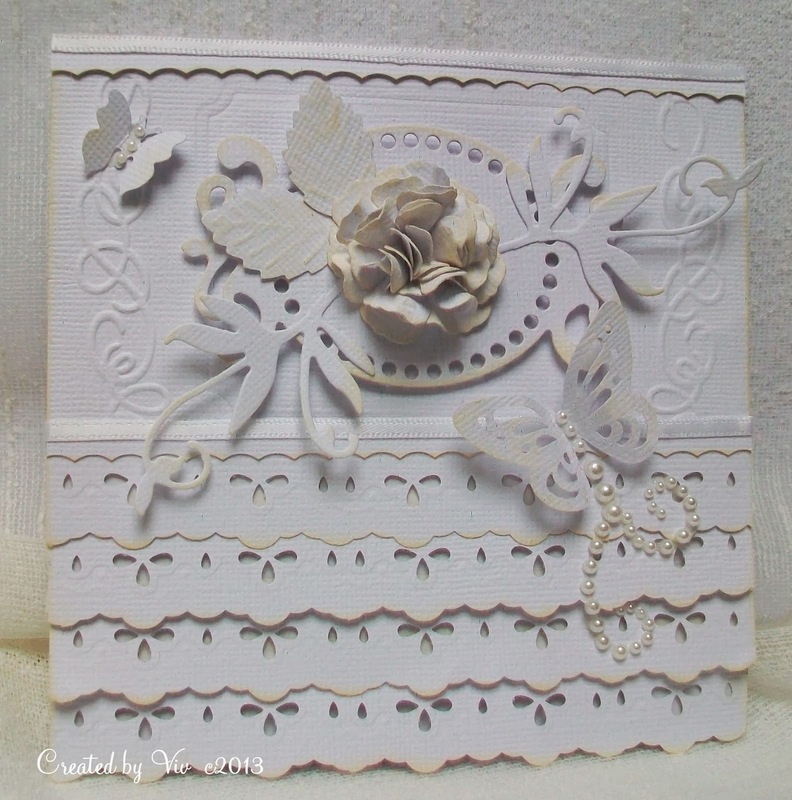 As well as designing for several companies, I also teach regular card making workshops. I work as an activities coordinator for Abbeyfield, a charity that provides residential and sheltered care for the elderly. This means that I spend my working week playing dominoes, doing chair exercises and crosswords and of course crafting! Ok, your turn! You can enter Challenge 1, Challenge 2 or both if you like! This double challenge will remain open until December 31, so you've got two weeks to add your projects. The Crafting by Designs team will take a week off to spend the holiday with their families, but we're getting ready for some great new challenges in 2014. Hope you'll join us! 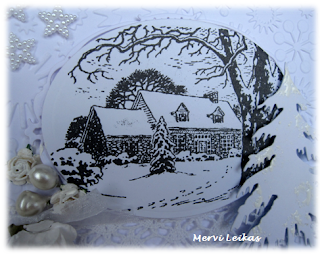 Merry Christmas and Happy New Year to you all from Crafting by Designs! Anything Goes with a Twist - Penguins Challenge! We received 24 wonderful entries! Don't you think this was a fun challenge? Today the spotlights fall on 4 fabulous creations. What a clever idea, combining two events! 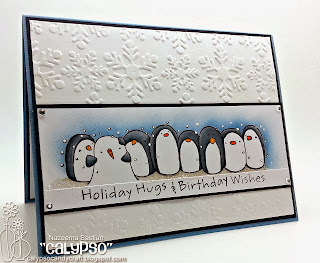 Your penguins are so cute, your card really lovely! What a delightful card! Darling little penguins. The snow on your trees look so real! 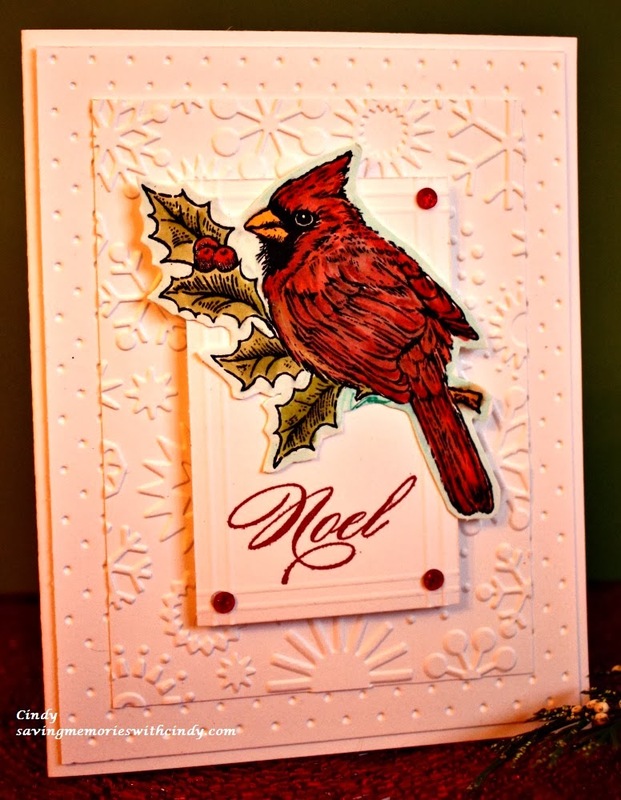 Real eye-catcher amongst all the snow covered cards! Your colour choice is excellent, your penguin really cool! 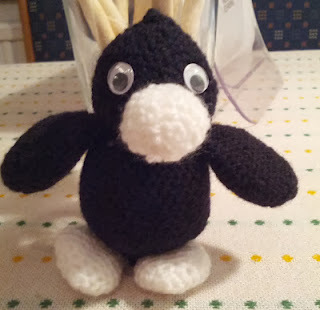 Don't you just love this darling little penguin! It looks like he's ready to dance! #11 Annie - Such a cute idea to put Christmas decals on the windows. 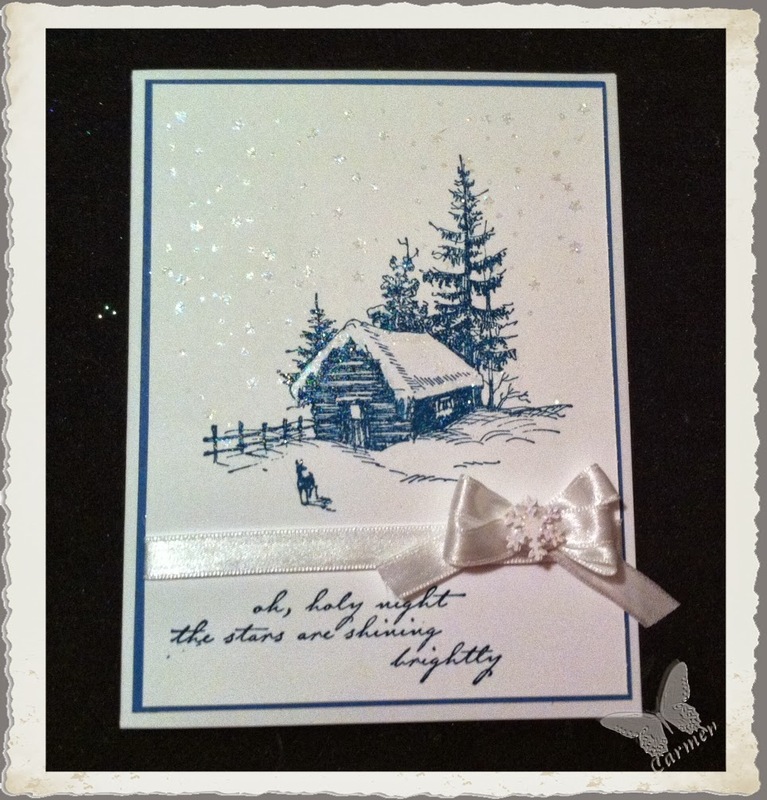 #18 Crafting Vicky - what a lovely tag with glamorous snowflakes! 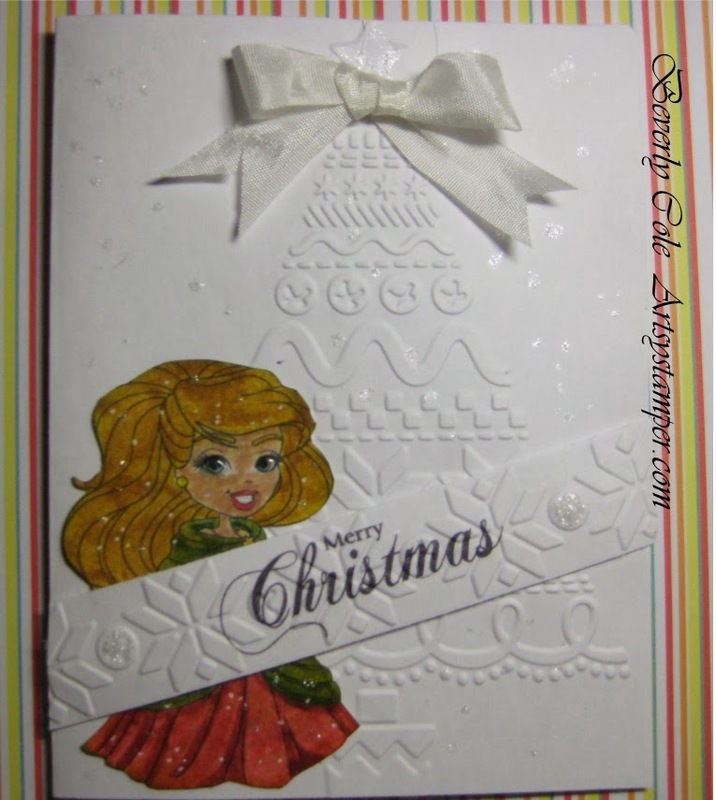 #21 Gail Scott - Cool gift idea! Anything Goes with a Penguin Twist Challenge. 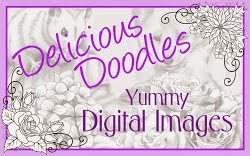 WendyLynn has won 4 digi images from the Delicious Doodles store! be sure to stop back on Saturday to who is in our next Saturday Spotlight! 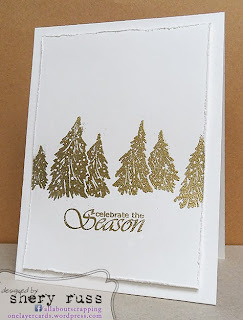 There is a twist: WOW : white-on-white! Winter has arrived in the Northern Hemisphere! Snow is starting to fall, creating white scenes everywhere. Summer has arrived in the Southern Hemisphere! Our minds are filled: white beaches, sun & sea! with Christmas the main holiday. 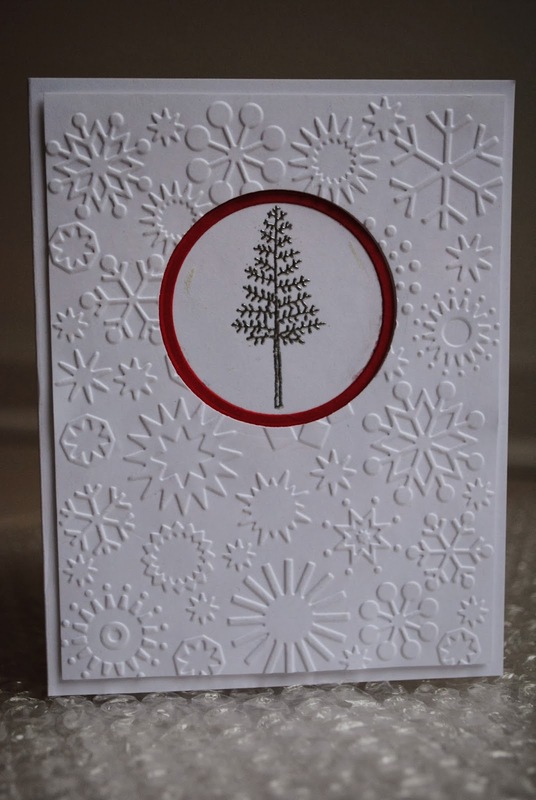 Your challenge: Create a white-on-white project. It can be any theme! White must be the main (or only) colour. Only the main image can be coloured (if you have an image). 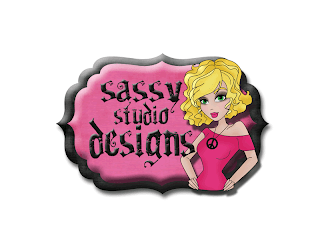 Our fabulous sponsor this week is Sassy Studio Designs! The winner of the challenge will get a choice of 4 Sassy Digi's! Expect to be WOWed by all the examples of the Design Team. And be ready for a little surprise! 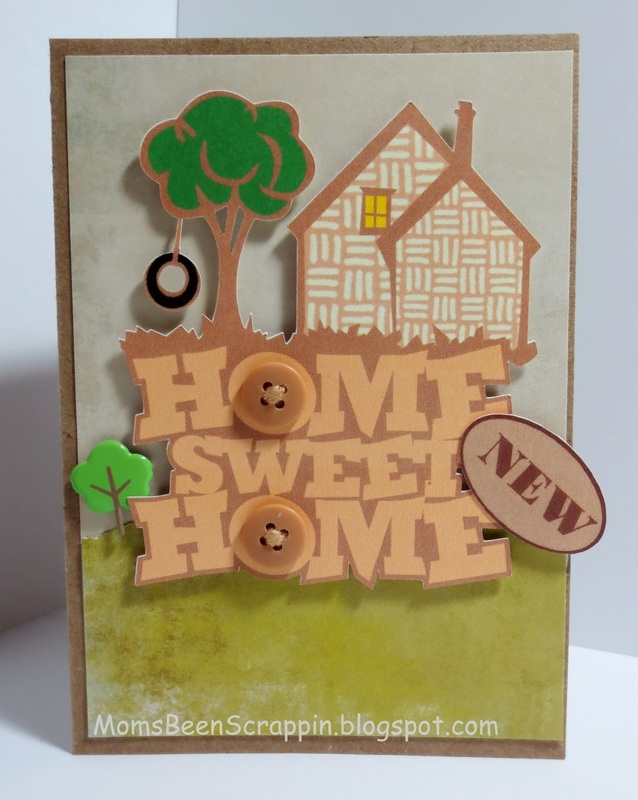 I am just thrilled to have been chosen as a spotlight winner by Crafts by Designs, I have been crafting my entire life and paper crafting for the last 3 years after a friend introduced me to Close to My Heart. 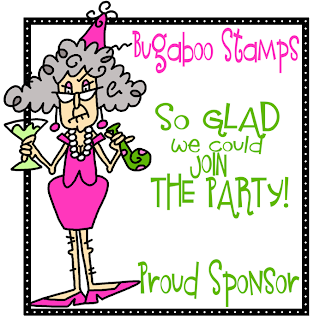 I am a loyal user of their paper and inks although I have branched out into other companies stamps and embellishments. I live in Alberta Canada so the cold weather affords me lots of time to spend crafting while I am avoiding the cold weather. 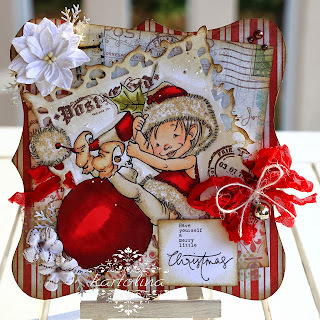 I was delighted to be asked to do a guest DT spot here at Crafting By Designs ! A little bit about me – having completed 30 years as a police officer, I retired a few years ago. We have recently moved to a beautiful spot in the North West of England and I divide my time between lawn bowls, tracing my family history and of course making messy with paper and ink. People said I’d be bored when I left work – not true! Never enough time now! My other half indulges me completely– he turned the top floor of our new house into a proper office/craft room after having done the same for me in our previous house so I am one lucky person! I love blogland and Pinterest, other peoples creativity amazes and inspires me - my card reflects that and I hope you like it! I am Ursula Uphof living in Johannesburg, South Africa with my hubby of 48 years. I have done some sort of craft all my life but only about 6 years ago discovered the art of paper crafts, and now have little time for all the other hobbies. 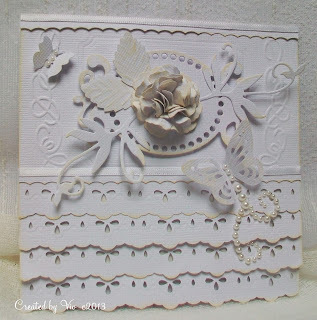 We travel quite a lot as we have 1 son in New Zealand and 1 in The Netherlands, and love to visit shops in those countries as my budget allows..I am on a couple of D T’s and I also run some workshops in card making. 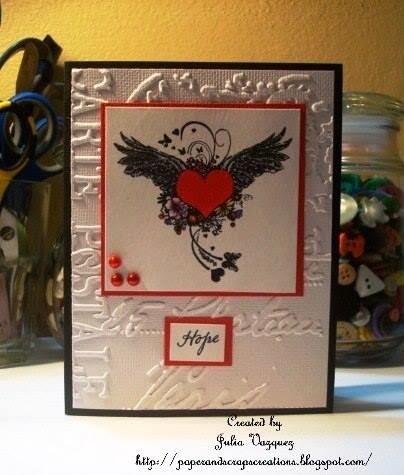 I have been making cards since February 2007, when I attended my first Stampin' Up party, and have been hooked ever since. 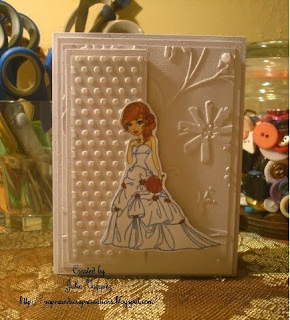 I enjoy creating mini albums as well and have just recently found myself making cards again after several years of focusing on those other paper crafts. I'm having a blast and thoroughly enjoy myself whenever I am creating. WOW - weren't these just fabulous!! Ok, now it's your turn to show us your white-on-white projects. everything else should be white. 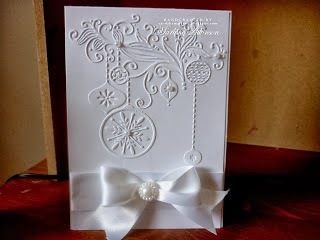 Or make everything white like some of our guest designers did! Also please remember to check our rules that have changed; please limit your entries to a maximum of 5 and be sure to include a back link from your blog post with this project to this challenge post. If you don't have a blog you can add your project to our flickr group (see the link in the left side bar). This challenge will be open until Tuesday December 17 and be sure to stop back every Saturday to see who was chosen for our next Saturday Spotlight. All of our Guest Designers are Saturday Spotlight winners and we're so glad they joined us today! We received 190 fantastic entries! Your chalkboard technique is so clever! What a cool way to depict a snowman! 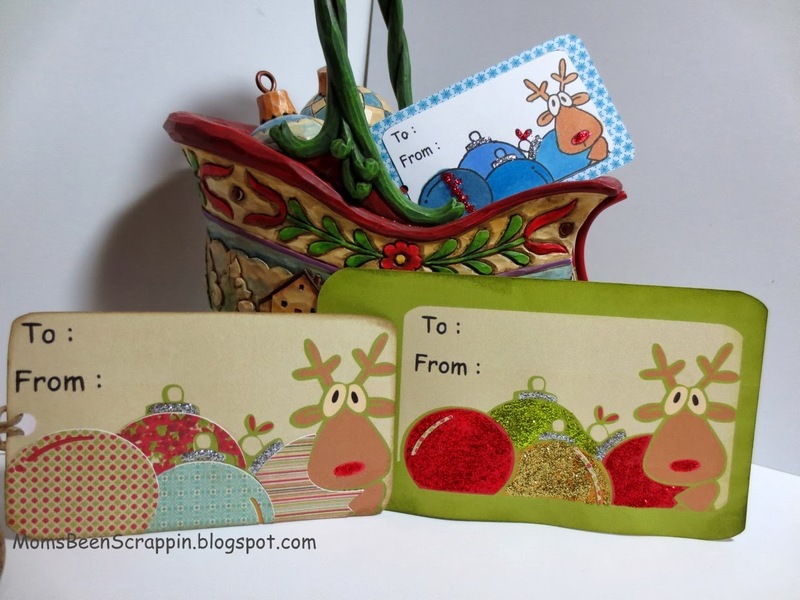 Both your card & tag is fabulous! What an excellent way to use a variety of DP! The sweet image is the perfect one for your great card! 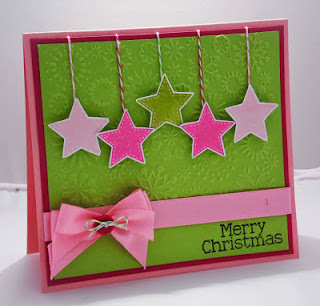 It is so refreshing to see Christmas cards in unusual colours! This is my pick, I just love the colours and layout of your card. Expect a CASE! 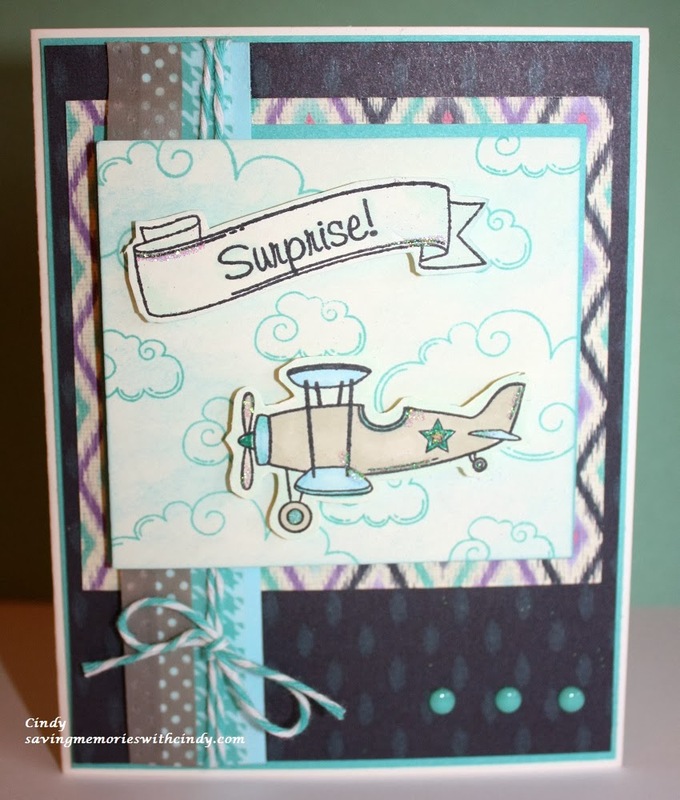 This card just brings a smile to our faces! What a delightful image made into a fabulous card! A team favourite! Gorgeous! The colours so fabulous! Such a lovely tag with loads of pretty detail! The natural colours & fibres are great, a different take on monotone! There are no runner-ups this week! that we decided not to pick any - the list was just too long! Anything Goes with a Twist : Penguins!